Gold and Pearl jewelry by Pranda. One of the more exotic silver and gemstone creations seen at the BGJF is by Dhevan Dara. 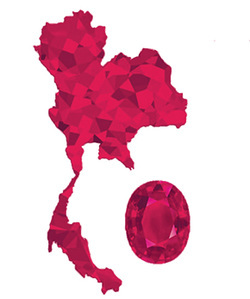 Thailand has earned the reputation of being the Ruby Capital of the World. Gold jewelry by Italy Gold. Gold jewelry by C.N. 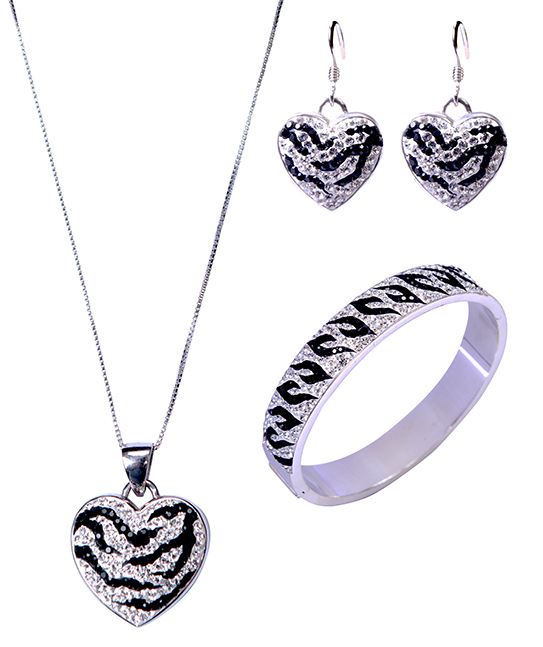 Gold & Jewelry Co.
Silver and gem jewelry by Regal Jewelry Manufacturing. The "Design Pavilion Trend 2016" exhibition featured Thai masterpieces and demonstrated the continuing support of Queen Sirikit for Thai craftsmanship. Ruby, diamond and gold jewelry by Mahallati. A luxurious fashion show at the opening of the 57th BGJF featured models wearing sumptuous jewels such as this gold parure set with rubies and diamonds by Blue River. Whimsical silver and enamel butterflies set with gems by Galassia. The Zero-VAT initiative for the importation of rough gemstones is one of several tax incentives at the BGJF. 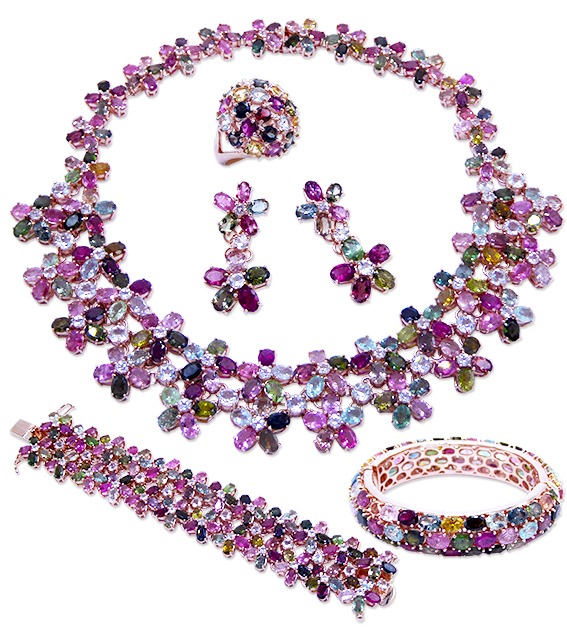 Colorful gem and silver jewelry by Asia One Trading Co.
Silver and crystal jewelry by GM Jewelry. Silver and gem jewelry by Sun Moon Silver Co.
Silver and gem jewelry by Leather Mine Co.
Silver and pearl jewelry by F&R Jewellery. The inaugural ceremony for the opening of the five-day Bangkok Gems & Jewelry Fair (BGJF) on February 24 was a spectacular event, worthy of a Broadway—or Bollywood—musical. Traditional Thai dancing and music were on the menu as well as a sumptuous fashion show featuring some of the nation’s most luxurious jewelry. Among the honored guests was Ms. Chantira Jimreiwat Vivatrat, Deputy Director-General of the Department of International Trade Promotion (DITP), Ministry of Commerce, indicative of the importance the Thai government places on the gems and jewelry sector. Organized by the Thai Gem and Jewelry Traders Association (TGJTA) in association with Department of International Trade Promotion (DITP) and the Gems, Jewelry and Precious Metal Confederation of Thailand (GJPCT), the Bangkok Gems & Jewelry Fair is held twice a year to support and promote the nation’s gems and jewelry industry. In 2015, the sector was ranked third in the country in terms of export value, generating US$6.6 billion. The 15,777 businesses involved in the industry—of which 3,500 are registered companies and 90 percent are SMEs—employ 1.3 million people. The industry is made up of three segments: gemstone heating, cutting and polishing; jewelry design, casting, setting, polishing, quality control, and packaging; and sales in domestic and international markets. Representing more than a third of Thailand’s gem and jewelry exports, fine jewelry creation in Thailand relies on skilled craftsmanship, original designs and modern technology to produce jewelry competitive in global markets. A significant share of this fine jewelry is third-party production that Thai manufacturers carry out for many foreign brands, including a number of well-known global luxury brands. These pieces are mainly crafted in gold, diamonds and gemstones. Thailand is also the largest exporter of silver jewelry in the world. The country’s silver makers follow ancient traditions to create a vast array of fine jewelry as well as costume jewelry and objets d’art. Some are created by artisans around Thailand who create intricate designs, while others are the products of modern manufacturing. The USA is the second largest market for Thai silver products. A number of these production facilities are located in tax-free zones, such as Gemopolis, on the outskirts of Bangkok. Here, foreign companies benefit from a strong infrastructure, easy access to raw material suppliers and a skilled workforce offering high-quality workmanship. This year also marks an important milestone for the Thai gems and jewelry sector as the nation enters the ASEAN Economic Community (AEC), and it is largely considered the hub of this sector in ASEAN. Recent discussions with the Thai government towards securing zero-duty status for the industry, in order to bring it closer to Hong Kong, are starting to bear fruit. 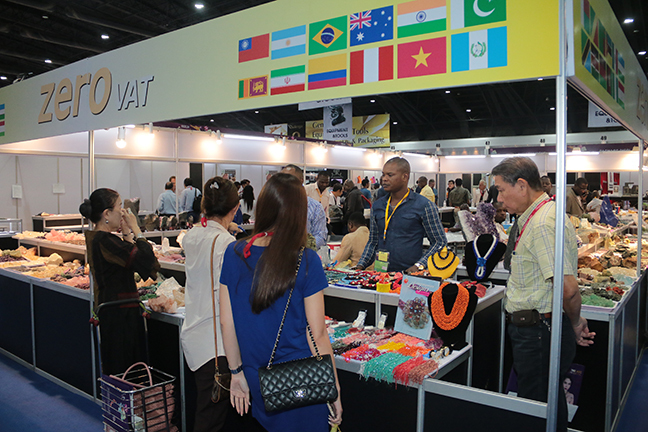 On February 9, 2016, the Thai Cabinet approved a number of tax exemptions aimed at promoting the nation’s gems and jewelry industry for importers or sellers who are registered as individual traders. It has waived the value-added tax (VAT) on imports of unpolished diamonds, colored stones, rubies, emeralds, topaz, garnet, opal, zircon, chrysoberyl, jade, pearl and gems (although not on imitation or artificial items). Individual importers will also be exempted from paying personal income tax on money earned from selling unpolished gems and pearls, and will pay a one-percent flat tax on income instead. Other exemptions include exemptions for import duties on machinery and tools that enhance manufacturing efficiency and essential materials such as polishing blades and diamond dust, silver chain coils and rolls, as well as gems and jewelry products during BGJF (one-month grace period). ​ “By September, we will have better tools to compete with the Hong Kong gem and jewelry shows,” explains Mr. Suttipong Damrongsakul, President of the TJGTA. In terms of competing with the two main Hong Kong shows, which are held shortly after the two BGJF events, Damrongsakul announced during a press conference that, starting with the 2017 shows, the Bangkok Gems & Jewelry Fairs would be “decoupled” from the Hong Kong shows. In other words, the February event will be held in January and the September event will be held in August. No final dates were available at press time. To the concern of some European and North American buyers who felt they could not make four trips a year to Asia for their purchases, he responded that the new tax advantages and the fact that Thailand is a destination in itself would help offset these concerns. In any event, the BGJF officials insist that decoupling from the Hong Kong shows is a strategy worth exploring to help boost both exhibitor and visitor attendance. During the 57th BGJF, the world’s first Ruby Symposium was officially launched. Organized by the GJPCT and the TGJTA in alliance with the Royal Thai Government, the symposium will be held in April 2017 in Bangkok with the aim of promoting Thailand as the world’s center for the production of rubies and other gemstones as well as a tourist destination. “The aim of the Ruby Symposium is to address the issues and challenges of the world’s ruby trade and to establish a transparent and trustworthy supply chain on an international level,” stated Phornchindarak. “Keynote speakers will include will be an assembly of the world’s leading manufacturers, exporters and business operators in gemstones, academics, analysts and researchers, gemstone mining countries, various auction houses, and representatives of various organizations such as CIBJO and ICA, as well as various laboratories such as NGTC, SSEF, Guberlin. It is expected that there will be more approximately 400 persons joining the event,” added Damrongsakul. Anecdotally, traffic to visit the 2600 booths at the 57th BGJF seemed slow. Having said that, however, we spoke with visitors from Canada and the USA who stated that they were buying, and the lesser number of visitors gave them more chance to find what they were looking for. A number of exhibitors agreed that the buyers who came were serious and not “just looking.” During these difficult economic times, expectations at the show were not high, but most exhibitors expressed a better-than-expected opinion of the show. ASEAN buyers. We’re seeing an increase in customers from this region,” said Hesam Kazemini, Managing Director of Khunnapap Jewellery Supplies Co.
“BGJF this year is good overall although world’s economy is down right now. Our market continues to grow. The Zero VAT policy is helping in a way. 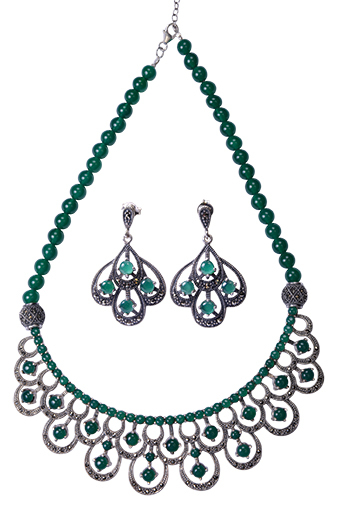 My own business focuses on silver, and our clients are more likely to be young customers who are interested in fashionable styles,” added Veera Wanichchayapitak, President of CNR Jewelry Co. The Gem and Jewelry Institute of Thailand (GIT), is among the world’s leading gemological laboratories. Under the directorship of Professor Pornsawat Wathanakul, the CIBJO-registered laboratory has highly experienced gemologists and is equipped with the world's most advanced instruments. The GIT is also a member of the Laboratory Manual Harmonization Committee (LMHC), made up of the world’s seven leading gem laboratories. During the BGJF, the GIT offers an onsite laboratory for buyers wanting to have their prospective gemstone purchases analyzed and authenticated. Testing was completed in generally less than an hour, at very reasonable prices. 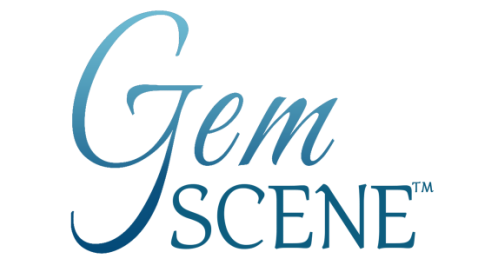 “We provide this service so that prospective buyers can have an extra measure of confidence when considering purchasing gemstones at the show,” stated Wathanakul. “Of course, we also offer a wide range of services at the GIT lab in Bangkok all year round.” At the moment, the GIT is also cooperating with partners from China, Japan, Sri Lanka, and Tanzania to establish certification standards for gemstones, especially ruby and sapphire. Ruby and diamond jewelry set in gold by Duang Kaew. Necklace in silver and gems by Seven Stars. Silver jewelry by First Victor Co.
A whimsical silver creation by Hong Factory. Silver and resin jewelry by Monplaisir. Gold and gemstone pendant by Dermond Anandara. Silver and gemstone jewelry by JNB Mfg & Exporting. At the BGJF, several experts on rubies gave a mini-conference on the red gems. Left to right: Dr. Dietmar Schwarz, AIGS Lab Director; Richard W. Hughes, Lotus Gemology; Somchai Phornchindarak, President GJPCT; Suttipong Damrongsakul, President TJGTA; Vincent Pardieu, GIA; Rupak Sen, Gemfields Asia. Silver and enamel jewelry with gemstones by PKL Silver. Ruby, diamond and gold jewelry by Sphere Jewelry. Silver, enamel and pearl jewelry by E.L.F Co. The GIT booth at the BGJF where buyers could have their prospective purchases analyzed and tested.